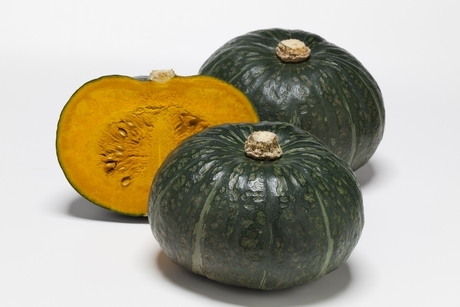 "Chinese going "gang busters" for Marron d'Or squash"
One of New Zealand's leading growers, Bostock, is stepping up the supply of its new Kabocha squash hybrid, the Marron d'Or into the Chinese market, after last year's initial shipment proved to be a major hit with consumers. Owner John Bostock says the company shipped 1,000 tonnes last year "as a sample", with plans to increase volumes throughout the coming year. "It's a Japanese variety that is not available in China," he said. "The Chinese do like Japanese cuisine and it is gaining a lot of traction. It has a sweet, nutty flavour - which is really delicious - stays green for quite a period, and doesn't decay as quickly as other squash types. The Chinese are going 'gang busters' for it, and that was a big surprise for us. I think the Chinese are very receptive to new cuisine and new taste and something foreign and exciting such as this. It's a new taste to complement the local Chinese squash that isn't as sweet and doesn't have the flavours." 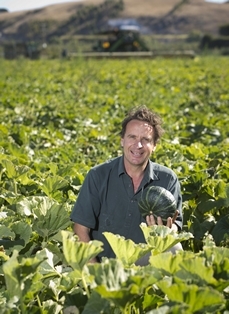 The Asian market is a significant one, as Bostock makes up around one fifth of New Zealand's 50,000 tonne annual shipment of all squash varieties to Japan, as well as one fifth of the 20,000 tonnes to Korea - and the numbers are on the rise, with existing markets also in Hong Kong and Taiwan. "We think New Zealand's volume will double again," Mr Bostock said. "In 2017, New Zealand shipped about 1500 tonnes, and in 2018 New Zealand shipped about 3000 tonnes, and I am thinking that New Zealand will ship about 5000 or 6000 tonnes in 2019. We (Bostock) shipped about a third of the squash last year, so I am guessing we will ship a third next year - but the volumes could be more. We want to grow in a measured and sustainable way." The company is the nation's biggest exporter of organic apples, with around one million boxes, which is expected to double in the next four to five years, given the trees which have already been planted. Around 45 per cent of current production goes to the United States, and 10-15 per cent to Asia, with the rest going to other parts of the world. Bostock is also launching new varieties of apples into Asia, with commercial volumes of Dazzle and Posy - both organically and conventionally grown - for the 2019 season and Mr Bostock says there is already a "great deal of interest". "A lot of these new varieties are specifically for Asia, being sweet and with a delicate perfume," he said. "Because Asians do not like acid, whereas European taste has a balance of sweet and sour. We are looking for rapid growth in Asia, and we feel organic is really starting to take off and we want to be ready and prepared for the market. We know it is going to happen. But we also think the new varieties will appeal to Europeans, because we have done some taste testing and, especially Dazzle, we think is going to be popular in Europe. It is fresh tasting, it is not too sweet and it is very cleansing. We also have a partner in the U.S for Dazzle, to supply 12 months of year - there will be massive demand in America for Dazzle." He adds that while there will always be a place for New Zealand off-season apples in the American market, the broadening of supply into Asia could be an alternative, with the potential trade war looming, which could crowd the U.S market. He is not too worried about the competition from the other new varieties that are constantly hitting the markets around the world. "I think it is a really exciting thing, because it is expanding the whole apple category," Mr Bostock said. "People are becoming really interested in apples as new flavours, new tastes, new branding, new promotion, and it is creating more excitement in the apple category as opposed to other categories. We will actually gain shelf space and expand the market." Bostock is rapidly "turning the place green", replacing conventional methods across all product lines with organics, and Mr Bostock says that he has found that people are choosing organically grown produce because they taste better, not just because they are healthier. The company will also turn its onion production organic. But the focus is not just improving growing methods, but also introducing environmentally friendly packaging. "We have developed a cardboard tray pack and we are studying a bio-home- compostable film to put over the apple," he said. "We think home compostable is the answer because if it gets into the ocean, the bio-home-compostable will break down where others don't necessarily break down. That is important to us -as is looking at ways to minimise packaging in the system. That means looking at other ways to reuse the cardboard box, for example. But simplicity is important and the best thing about bio-home-compostable is that it can go in with your scraps and decompose with your banana skins, orange peels and apple cores."